And receive the highest possible offer. My clients range from entry-level to executive, including people who are returning to the workforce after an extended absence. Since the cost of your resume is a consideration, I work on an affordable, sliding-fee scale based on the extent of someone’s experience, the amount of work that needs to be done, and a charge that accommodates most people’s budget. So you’ll feel confident that you’re putting your resume in the right hands (literally, that is), here’s a brief summary of my experience. 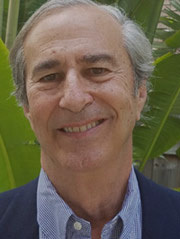 I’m a Sarasota resident and nationally recognized resume writer, career advisor, and former top Silicon Valley recruiter. For more than 20 years, I’ve been writing resumes for Sarasotans as well as for clients nationwide. Credits include multiple awards for writing one of the “Best Articles of the Year” on resume writing and job hunting published by both of the career-management services of The Wall Street Journal. 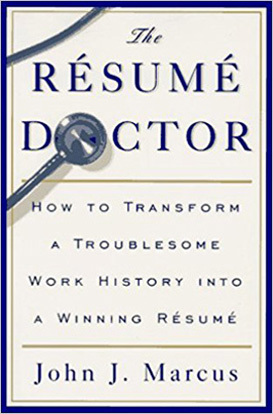 In addition, I’ve authored three books on resume-writing techniques and job-hunting methods. 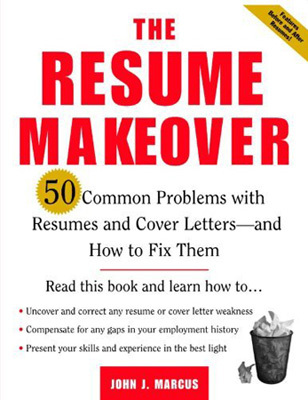 John Marcus’s latest is the authoritative guide to resumes, whatever your professional level. His advice is fresh, on-target and easy to apply to your own resume. Following his guidance, you’ll be sure to wow hiring managers. No matter how much you think you know about writing resumes, you’ll learn something new. 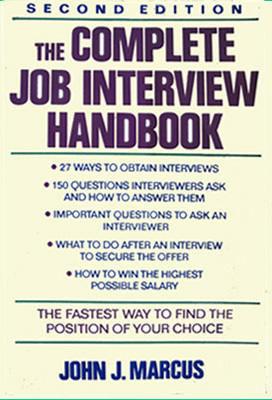 I’d recommend this book to anyone conducting or anticipating a job search. It’s no wonder that Marcus is one of the most popular writers of career advice today. I’ll apply my knowledge of resume writing to energize your job search by creating a high-impact professional resume for you. The document will produce the interviews and offer you want by showcasing your capability and differentiating you from the competition. In addition to resume services, I write cover letters, thank-you letters, bio’s, and LinkedIn profiles. If this is the first time you’ll be describing your background in writing, I’ll create a professional resume for you. If you already have a resume and want to update or improve the document, I’ll transform your presentation into a vibrant and convincing resume that will resonate with hiring managers and recruiters. In the event that your line of work is difficult to find in Sarasota, I’ll show you how to maximize your number of interviews in our limited job market. We’ll either meet in person or speak on the phone to discuss your background. If you prefer the former, I have a flexible schedule if you’re employed and your time is limited. Since each person’s experience is unique, I’ll ask you questions to gain a thorough understanding of your goals and all aspects of your work history. In the event that you already have a resume, these questions will uncover valuable information about the extent of your accomplishments and this will be added to your presentation to enhance your expertise in your field. The next day I’ll send you the first draft, having created a resume format that will be best for your experience and the position you’re seeking. I don’t work from templates, as many resume writers do. Also, there are no lengthy forms to fill out. I guarantee that your capability will stand out and, equally important, any negatives that might be in your background won’t be apparent. After you’ve gone over the draft, you’ll call me to discuss it, including any changes you might want to make. Then I’ll send a second draft for your review, again either the same day or next. This is usually the finished resume. However, if we see opportunities for further improvement, I’ll prepare a third draft. My objective is your full satisfaction and to make your resume as convincing as possible to employers and recruiters. The experience section of your resume will be rich in the key words that pertain to your position. It will also be free of the type of information that often causes rejection. As a result, if the document is initially computer-scanned by an applicant tracking system (ATS), it will “pass the test” and be read by your prospective manager. With this diligent and detailed approach, I guarantee that you’ll have an expert, professional resume. Your capability will shine and distinguish you from the other applicants. Prospective employers and recruiters will have every reason to contact you. Further, you’ll have confidence in your resume and what you have to offer as you enter the job market. The best methods to use to generate interviews depending on your individual situation. How to receive the highest possible offer. How to prepare your references to optimize the comments they’ll be making as well as to offset a remark that you believe will be unfavorable. Additionally, if you have any questions about how to manage your job search once you’re interviewing, feel free to call me. As a bonus , I’ll provide you with a template for responding to Internet postings. Although visiting job boards isn’t a preferred job-search strategy—often likened to entering a “black hole” due to the inherent competition and lack of responses from employers—your reply will gain immediate attention and place you ahead of the other applicants.